Slight change of scene for me last weekend as I flew up to Edinburgh for the Scotland v France game. The weekend started off with a trip down to the Borders to watch the Under 20’s game between Scotland and France at Netherdale, Gala. With three wins already under the belt the French were looking to make it four as they seek a Grand Slam at this level. On the bench for Scotland was scrum-half Ben Vellacott who has been in sparkling form for Hartpury College this season and featured in their game at Redruth earlier in the season, whilst at fly-half young Ben Chalmers showed he has inherited his father (Craig’s) prowess with the boot. French fly-half Brandon Fajardo (Auch) showed he was handful as his try and conversion cancelled out Chalmers’ early penalty that gave the home side the lead. The same player then kicked a penalty to leave France 10-3 to the good at the break. Fajardo then departed the fray leaving kicking duties to Toulouse hopeful Anthony Meric who put France 13-3 up with a penalty. Then when impressive prop Tommy Raynaud (Narbonne) powered over for an 18-3 lead the game looked as good as over. However, changes on both sides seem to favour the Scots as they enjoyed more of the ball and scored two well-worked tries off the line-out through lock Andy Cramond (Aberdeen Grammar) and back Damien Hoyland (Melrose), much to the delight of the sizeable contingent from the Melrose club. Young Neil Irvine-Hess showed up well in the back row when coming off the bench. 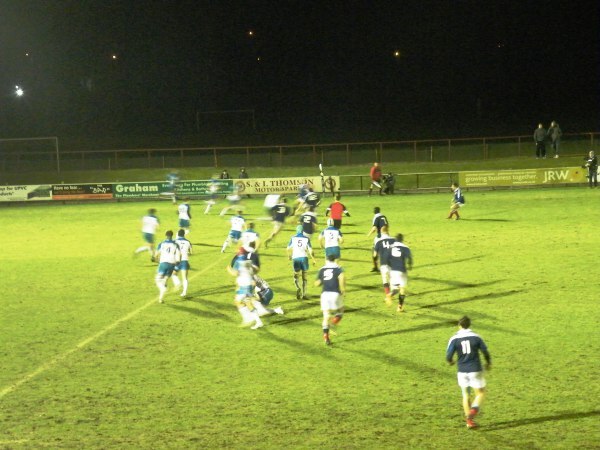 Scots couldn’t manufacture another score and France held out for an 18 – 13 win that keeps them on-track. 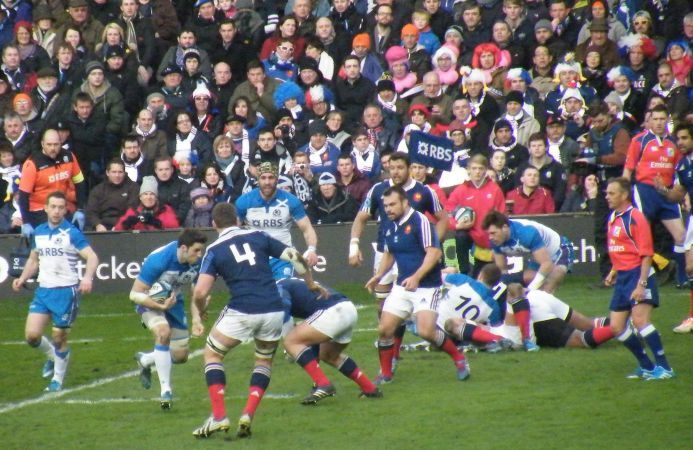 Saturday saw me at Murrayfield to see France gain a fortuitous 19-17 win against a plucky Scotland. Philippe Saint-Andre’s selection of the giant Perpignan lock Sebastien Vahaamahina at 6 caused a raise eyebrow or two and it didn’t take long to see it was a big error. I shan’t go into the detail of the game here suffice to say that a report from the Scotsman’s David Ferguson can be found in the link. Enough of my gallivanting around Scotland back to local issues. Sunday saw the Cornish Pirates travel to the Memorial Ground to take on the Championship leaders Bristol at the Memorial Ground. It sounds like it was a cracker of a game with Bristol eventually outscoring the Pirates 7-4 on the try count to run out winners by 46-33! It sounds as if young Max Bodilly had another fine game for the Pirates backing up his man-of-the-match performance from the previous week against Jersey at the Mennaye. A detailed match report from the Western Morning News can be found in the link. Mixed fortunes for our Cornish clubs once again in National League 2 South. Redruth recorded a vital win against second placed Canterbury at the Rec 21-17 to boost their hopes of avoiding the drop. Match report from the WMN can be found in the link. Launceston’s defeat at Chinnor by 28-20 sees them in the drop zone as they grapple to re-organise following the departure of “Spike” Rainford. They will look to bounce back quickly after this reversal. Match report in the link. A very brief look at the local leagues this week with the promotion battle at the top of Tribute South West 1 West taking another twist. St. Austell’s big win at home against Cullompton 60-3, coupled with Cleve’s defeat at North Petherton sees the Cornish side back at the top of the league two points ahead of Hornets who have a game in hand. Full back Dan Pearce scored a couple of tries and converted five tries for a personal haul of twenty points. Camborne bounced back from the disappointment of only drawing at home to St. Austell to beat Chard in Somerset 22-18 thanks in part to a hat-trick of tries from winger Alex Ducker. Wadebridge Camels found it tough going up in Somerset against Hornets losing 55-12. Matt Angwin and Matt Ballard scored tries for the Camels. 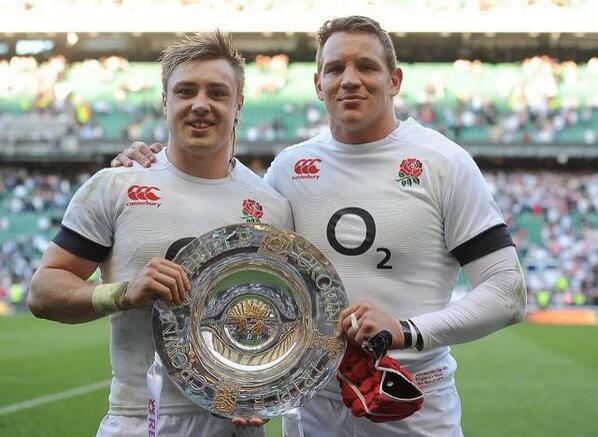 Congratulations to Jack Nowell who again featured strongly for England in the win over Wales at Twickenham on Sunday which saw the Red Rose claim a first Triple Crown since 2003. His club mate flanker Tom Johnson came off the bench to make it a great day for the Chiefs who earlier on qualified for the final of the LV Cup defeating Bath 22-19 at the Rec, their first win over Bath since getting to the Premiership. Next Sunday they take on Northampton at Sandy Park in the Final! Joel Conlon (Cornish Pirates/Exeter Chiefs) was part of the England U.20’s that defeated Wales 67-7! Rob Coote was part of the England Students side that defeated Welsh Students 26-16 at Oxford University. 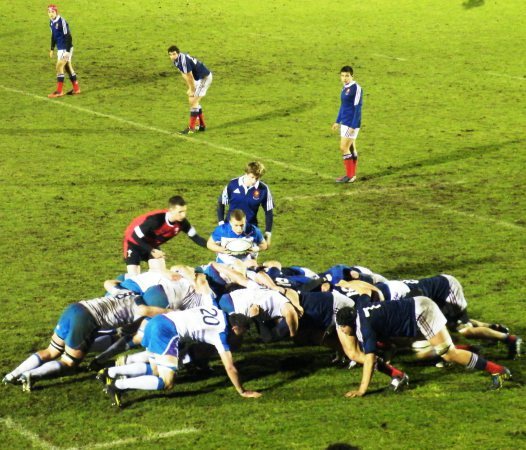 Finally Jack Stanley played for England U.18’s in their win against Scotland U.18’s at Dalziel Park 28-6.